This post was created in partnership with Martha Stewart Living and California Walnuts. All images and opinions are my own. For most of us, the holiday season brings with it many traditions. Whether it is matching PJs for Christmas morning (my sis and I love that tradition) or a special night out to see a show like The Nutcracker or the Boston Pops, holiday traditions are super special and always a fun way to reflect on the year gone by as well. One of my favorite holiday traditions is cookie baking with my mom and sister. We have a number of treats that are considered “Christmas Cookies” only- meaning we don’t make them any other time of year. While this makes the tradition more special because duh, these cookies only come once a year, it also gives me an excuse to indulge in a few extra cookies because duh, it only comes once a year! 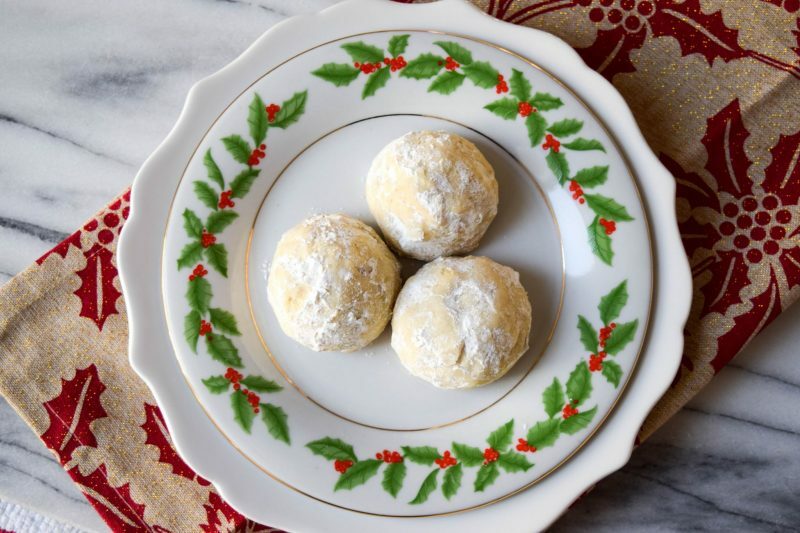 Today I’m breaking the rules of our Christmas only cookie making and by baking these cookies before the holidays to share the recipe with you of one of our family favorites- Snowball Cookies. 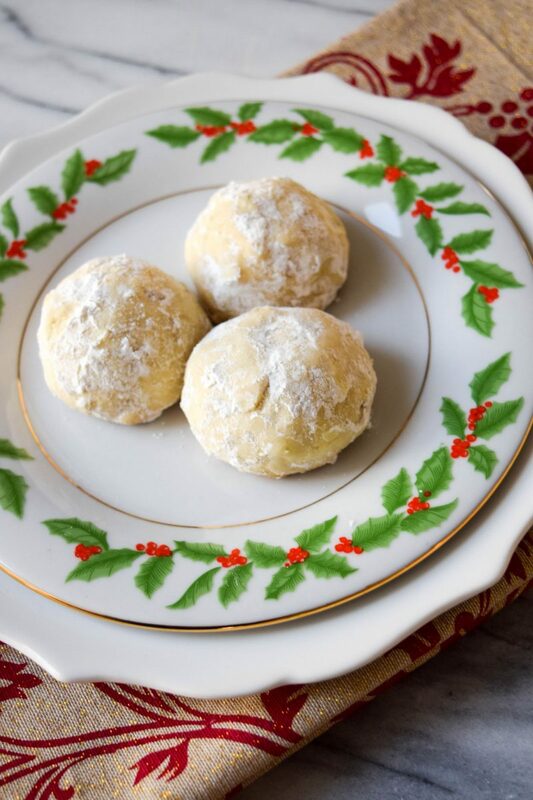 These are more commonly known as Italian Wedding Cookies, but they look like a snowball to me so that’s what I like to call them. The base of these cookies is ground walnuts- and there’s nothing better than California Walnuts for the job! I especially love these cookies for an afternoon treat with coffee or tea- the nutty taste as opposed to an overly sweet cookie make them ideal for that. During our holiday baking, there is one ingredient that is part of several of our recipes- California Walnuts. Whether you like them paired with chocolate or on their own, walnuts are an amazing addition to a holiday dessert recipe. California Walnuts are the star of this recipe- you can find many other recipes for all your holiday baking and cooking featuring walnuts here. 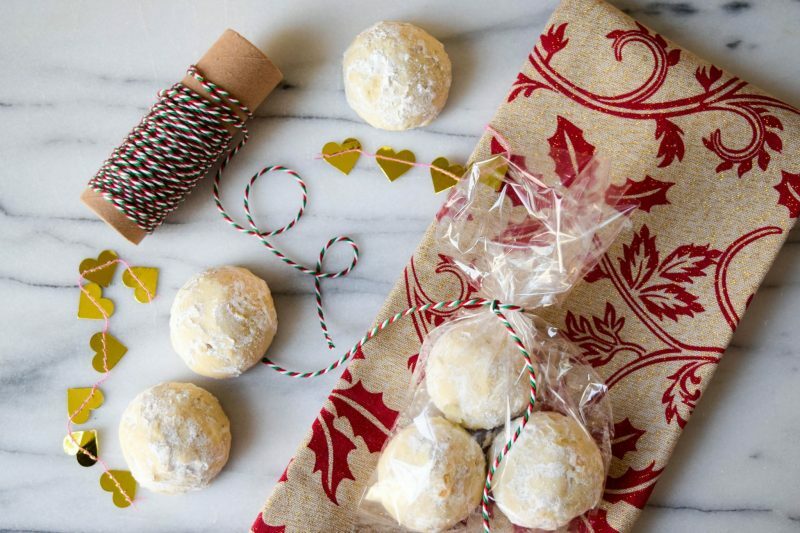 Whether you are looking for a new cookie for your family’s holiday baking or for your cookie swaps, these Snowball Cookies made with California Walnuts are sure to be a new favorite! So from my family to yours… happy baking! Cream softened butter and 1/2 cup of confectioners’ sugar in a bowl using a mixer. Once light and fluffy, add ground California Walnuts and vanilla extract. 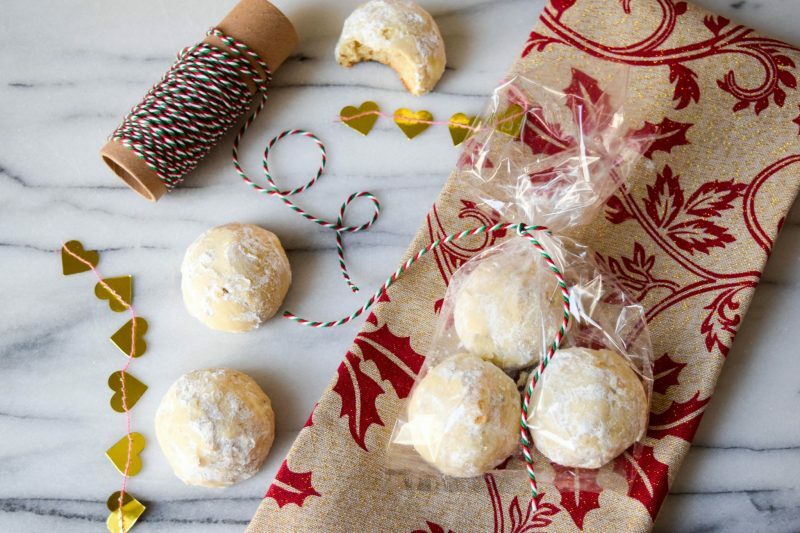 Using a cookie scoop, drop balls of cookie dough onto a parchment paper lined cookie sheet. Bake for 15-20 minutes. Do not allow the cookies to brown. Allow cookies to cool slightly. Once cool, roll in the additional confectioners’ sugar. Can’t wait to make these in a few short weeks! !